Leading up to the graduation I felt it would be like most other semester-completions, because I don’t go home for the summer. For the past nine years I’ve remained at the Center to help Dr. Yang with summer seminars. This year I will still do that and I will visit the Center in the fall. So this year-end seemed more like a transition, just including a bit of formality. I probably was too busy to think about the completion of my program. I’ve been more concerned with how to build a career so that I may be able to exit the program as a professional teacher. So I’ve been living a bit more task-oriented instead of present in feelings. It wasn’t until all of the parents, friends, and locals sat before us and I found myself standing there, lined up with the other graduates, that it actually started to hit me. Dr. Yang looked over to us and said, “To all the graduates, congratulations.” Those words struck me deeply and I awakened and found myself feeling appreciated, accomplished, complete, and content. Other speakers stood at the podium, addressed us and tears fill my eyes as I reflected back on times of struggle, difficulty, and sacrifice. I felt I was being acknowledged and understood like I’ve never felt before. I was surprised and shocked about finally getting some recognition, and I wasn’t quite prepared for that need to be fulfilled. You see, I feel like a baby, with still much to learn. It still is difficult to accept these congratulations, appreciation, and acknowledgment but I am working on that now. For the guests who stayed a bit longer, they saw us return to our normal schedules. We woke up Monday morning, meditated, did speed training, and ate breakfast. For me, nothing felt different from the previous weeks. However, now I’m standing in more confidence. I’m listening to others when they tell me to revel, and feel proud. I am closing this chapter of my life and moving forward with a sense of purpose and motivation to share my gift, whatever that may be - which also needs a little time to emerge. It is unfolding now. In my time on the mountain the world has changed and I have changed. Will I be able to insert myself back into the matrix and survive? Will the contrast of city-buzz, technology, and charged-emotions pose too great a contrast to the clean air, large trees, and humming birds to which I am accustomed? We shall see. I imagine myself as a small puzzle piece searching to find its place amongst all the others. Maybe my spot is ready to receive me, maybe other pieces have not yet been organized to present me with my space. I will continue to practice and polish my edges, and continue to cultivate what I’ve learned. So what have I learned? No matter where you go, where there are human beings, they are learning to overcome the same fundamental issues that sages, philosophers, and priests have tried to help us solve over the ages. Neuroscientists, social psychologists, emotional intelligence experts and hopefully more martial artists are beginning to answer the questions to these pressing issues. We long for connection above all else and our stumbling blocks can be attributed to our skills around connection, communication, and balance, both within the human organism as well as outside it. This seems to be the emerging truth of our times, taking precedence now, above what we’ve been educated to value and pursue. 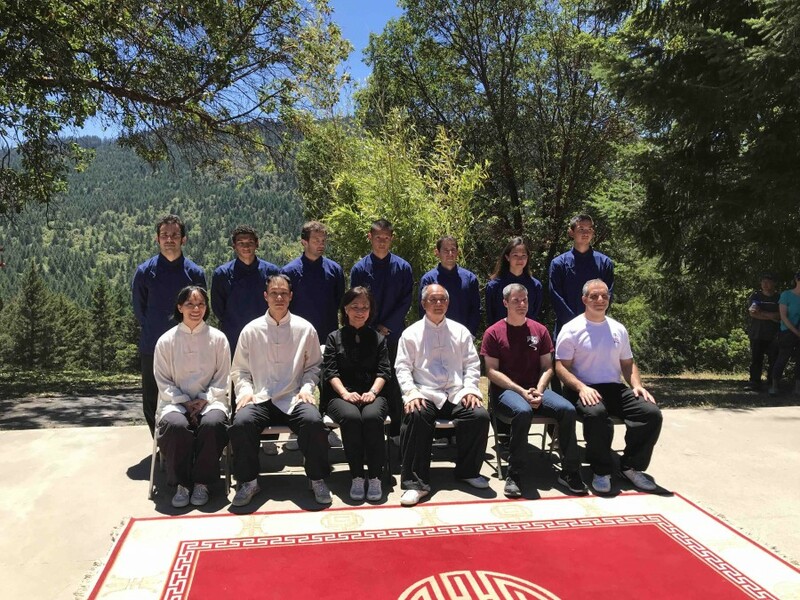 I believe that martial arts, especially Taijiquan can begin to contribute to this conversation in some very new and exciting ways because of its emphasis on listening, yielding, and seeking understanding and balance, just to name a few. So now the Taiji facilitator is presented with this unique opportunity and responsibility to contribute to and to serve its global citizens. A longtime teacher of martial arts, Dr. Yang has proclaimed that this century will serve as a spiritual century for all of us willing to step out of the mud and into our potential. Potential for what? To obtain and actualize what we deeply yearn for regarding happiness, fulfillment, contentment and peace. As his student, it is my duty to take this seed, water it in myself, and share all aspects of the experience with others.